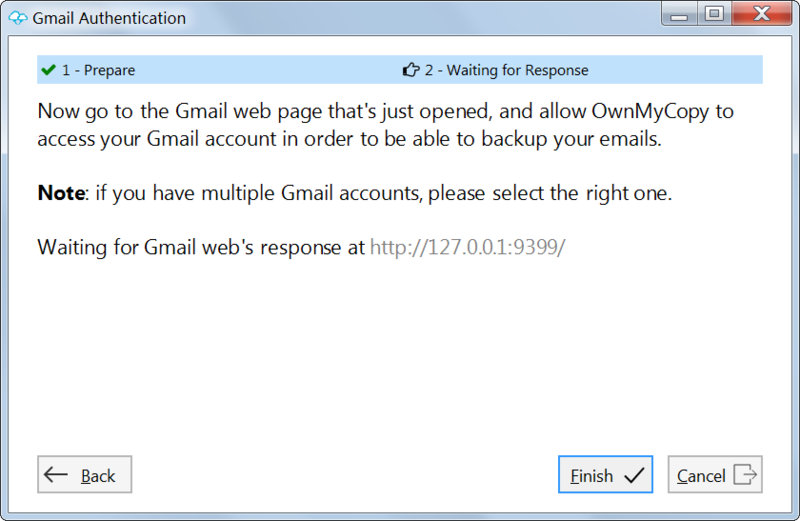 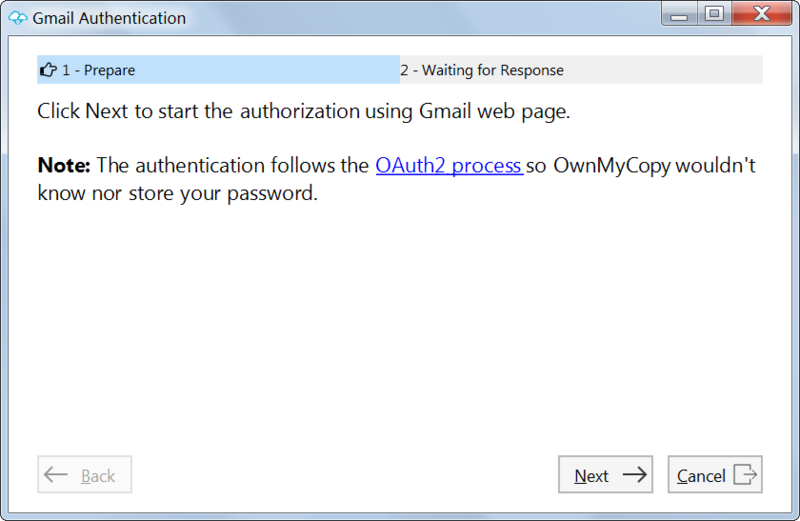 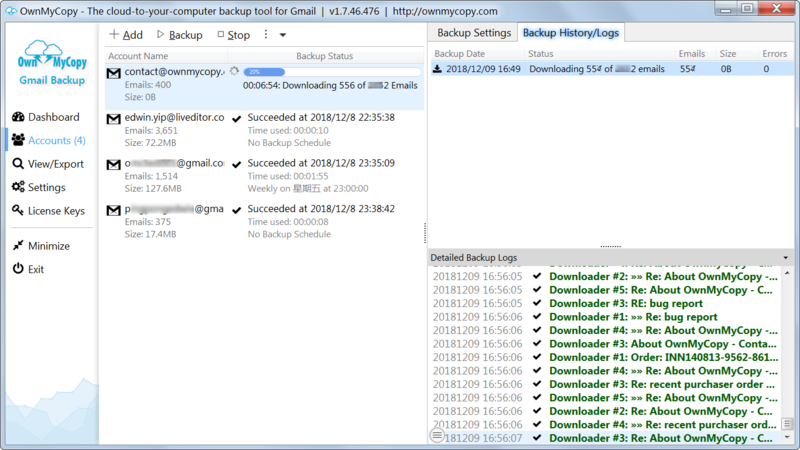 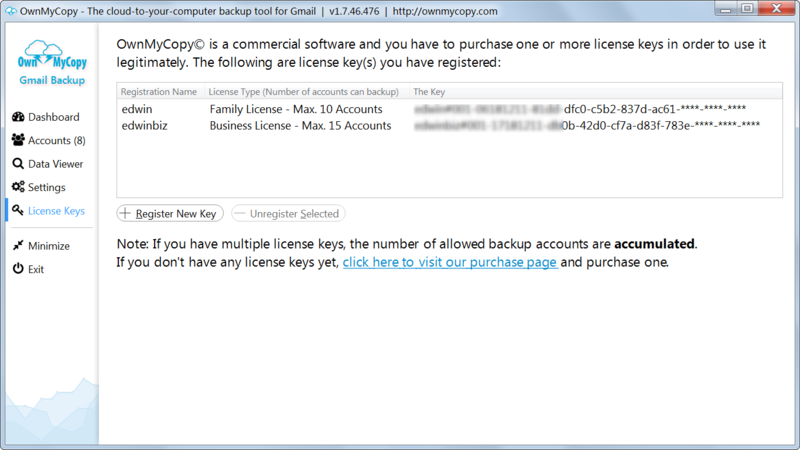 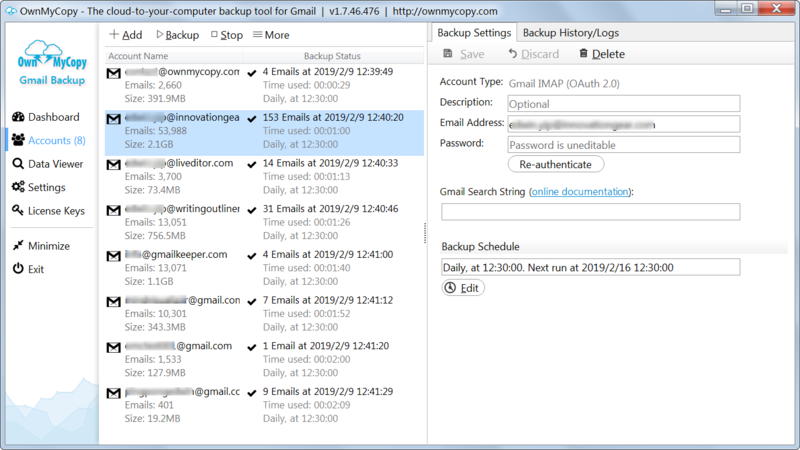 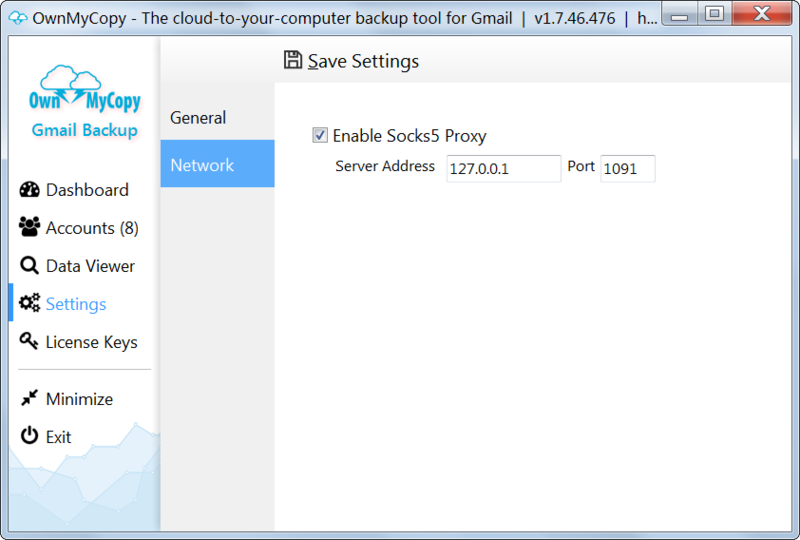 We’ll show you the features of the OwnMyCopy Gmail account backup software with screenshots. 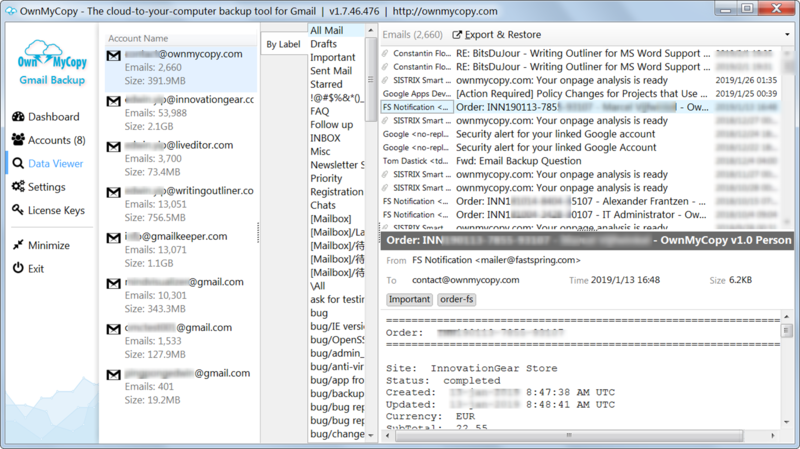 Interested in backup up Gmails to your local computer? 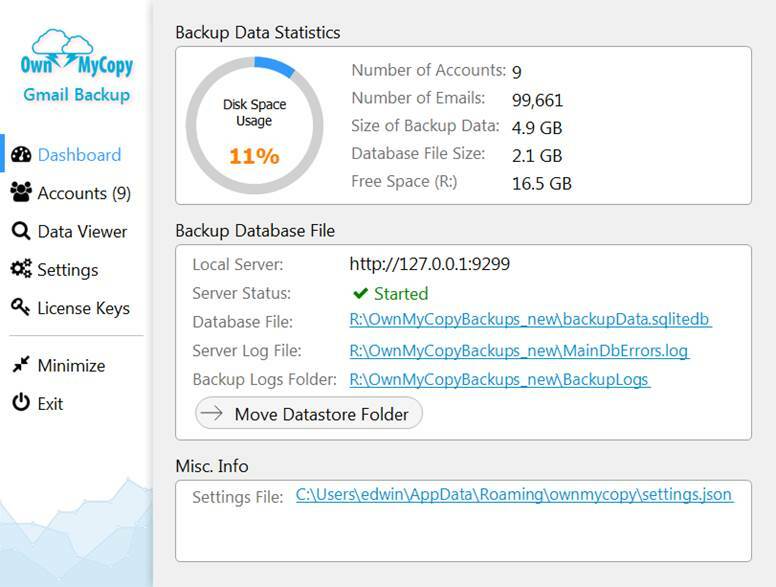 Download OwnMyCopy now.